Microbrewed Beer Delivered Every Month! A gift membership in the Beer of the Month Club is sure to bring a smile to the face of any beer lover and a cool gift idea for him! Each monthly selection features twelve bottles of microbrewed beer from two different award-winning breweries and each shipment includes up to four different varieties of premium beer. Options for three, six, and twelve month clubs are available; a Beer of the Season Club with specialty beers each spring, summer, fall and winter; and on-going monthly clubs. • 12 bottles of hand-crafted beer each month! 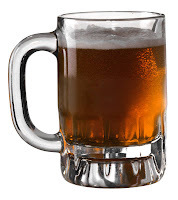 • Beer lover’s newsletter with every shipment! • FREE SHIPPING every month!